i would really like my form to also show the day of the week for the selected date. or at least in the spreadsheet intergration. 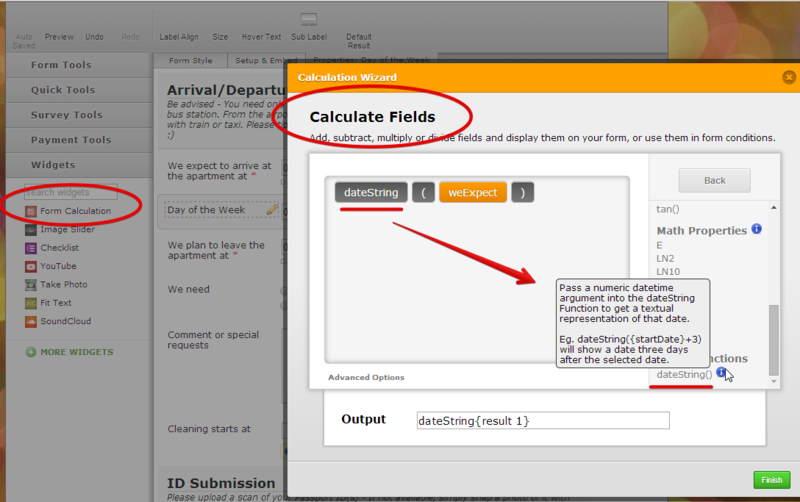 You can use the dateString() function of the Calculation widget to calculate the Day name of the selected date field. I created a Day of Week field that gives the day name of the selected date. Please inform us if this cannot work for you. Is there a way to show JUST the day of the week (i.e Thursday)?